Cowon has recently released the L2 device that marries all three functions of a personal GPS navigation system, a DMB-capable device, and the trappings of a portable media player. 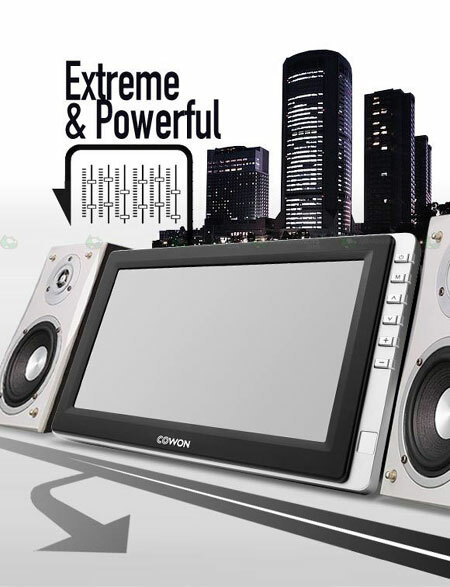 Measuring a compact 191mm x 120mm x 26mm and weighing just 512 grams, the Cowon L2 comes in a sleek looking silver-colored package. What you can expect from the L2 would be its 7″ widescreen display, GPS navigation, DMB compatibility, support for a wide variety of audio, video, and picture formats (AVI, MPEG 4, MP3, WMA, ASF, WAV, BMP, JPG, and PNG), a built-in FM radio, and even Picture-in-Picture functionality. In addition, you also get 2GB of integrated memory as well as an SD memory card slot for expansion purposes. The Cowon L2 is to retail for 299,000 Korean Won when it is released. Sounds like a pretty good deal, but convergence devices tend to get a little wonky after a while. Do you think that the benefits of a convergence device far outweigh that of its cons? Let’s take the Cowon L2 for example. Once it is spoilt, you’re out of luck when it comes to portable entertainment (both audio and video) and will have to revert to folding paper maps each time you enter unfamiliar territory. Better carry around a personal GPS navigation system and an iPod Video, I say. OK, so you got me on this one. What is DMB Compatibility? Also, what do you mean by “Once it is spoilt”? Do you mean once it breaks because it is shoddy components jammed together? I think Cowon is known for high quality products, and, wow, that does sound awesome and looks beautiful. Alas, I’m still waiting for a 6G iPod to replace my Nano. EEJ, DMB offers you the ability to watch terrestrial TV while on the road. As for the “once it is spoilt” reference, I meant should the entire device just die on me (due to failed components, suffering from a 3 meter drop, water spillage, etc), I’m basically screwed.